Pirate Party – “Ahoy!” instead of “Hello!”, “aye” instead of “yes” and “arrrgh” to express any sentiment! 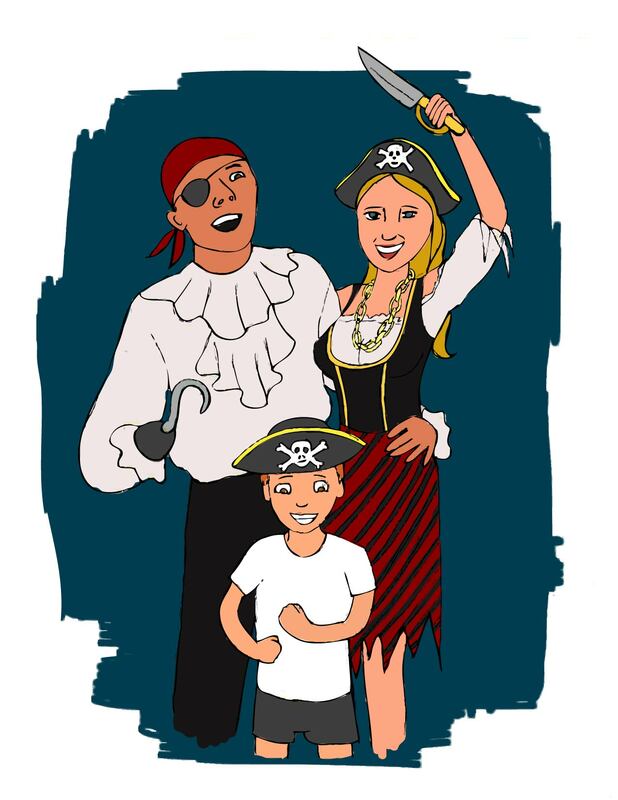 A pirate-themed party is a lot of fun for both adults and kids! Your friends will talk about it for years if you do it right. A Pirate themed party is perfect for Halloween, birthdays and outdoor summer fun – especially if you have access to a pool. You might want to decorate your home and backyard with pirate flags, treasure chests and toy parrots, you may also want to include an X marking special areas and it will add to the pirate feel as well. Give guests maps and clues, toss some gold coins here and there and call out for treasure hunt in your house or a scavenger hunt in your neighborhood. A great addition to a pirate themed party is to have all the guests dressed like pirates or give out bandannas, and eye patches at the door. Creating homemade pirate costumes is much easier than you might think, and much cheaper as well! For a perfect and simple pirate costume you will need tight black pants, or if you are a woman you can get a black skirt instead of pants. For the shirt – the baggier the better – use a white long sleeved button-up satin shirt with ruffles. You can even tear it in certain areas for a more realistic look and put on a black or red vest. For shoes, black leather boots that fold over at the top will be the best choice, but pretty much any tall black boots will work. The accessories are also very important for a realistic pirate costume! Find yourself a pirate hat, and put the black or red bandanna on your head under it. Use a red long scarf instead of belt to tie around your waist. Of course you will want to get a pirate hook or toy sword for safety reasons.